Carol Raccah holds a Master’s degree in Management Engineering from La Sapienza University (Rome), but her academic career has always intertwined with her passion for event organizing. Born and raised in Rome (Italy), since her teenage years she organized various events for among others the Jewish Community of Rome and various international Jewish bodies. In 2006 her passion for event planning became a profession. Carol Raccah has since 2006 organized numerous weddings, bar mitzvah, election campaigns, corporate events, team building activities and corporate trips, for among other Reckitt Benckiser, a global household and health corporation. In 2007 she was a member of the Organizing Committee of the European Maccabi Games, the largest Jewish sports event in Europe. 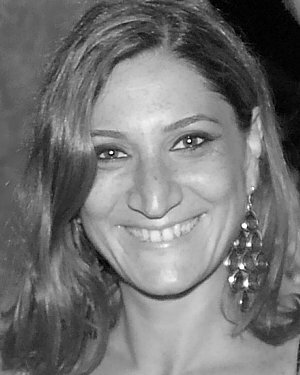 Following an extensive consulting experience in Italy she moved to Tel Aviv (Israel) in August 2008. Here her passion got stronger and founded the WhiteCity Events in 2008. Carol speaks Italian, English, Hebrew, French and Spanish.